It's the kind of idea that's frustratingly simple. It's the kind of idea you might feel like you should have come up with yourself. Kyle and Jessica Waring sell fall foliage. They live in the Northeast and ship colorful fall leaves to people who don't get to see the explosion of autumnal colors that you might take for granted. A couple years ago, the duo launched ShipFoliage.com. 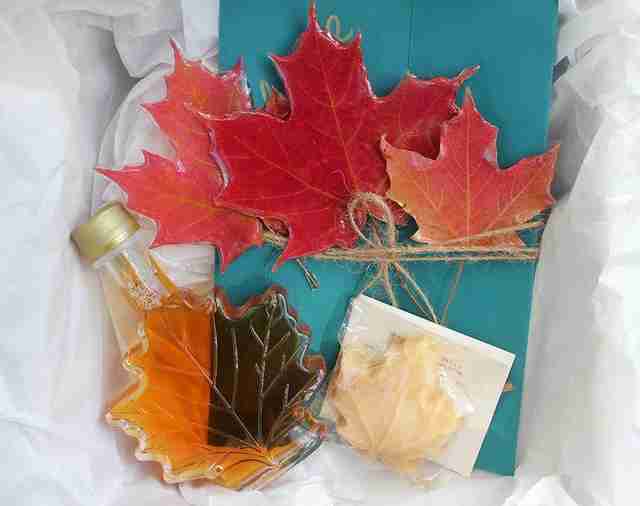 There you can buy carefully preserved maple leaves shipped to you with other fall-themed items like a beer around the campfire maple syrup. It was a natural follow-up business to their successful enterprise selling snow. Yes. For real. "We looked out to see what else is unique about New England and settled really quickly on the fall foliage. Both my wife and I grew up in the Northeast but moved abroad for two years. When we returned, we fell in love with the seasons all over again and found our products resonated with those who really miss [having] four seasons." ShipFoliage.com - Shipping New England foliage directly to your door from Kyle Waring on Vimeo. Now, the couple ships foliage across the world, with orders coming from as far away as England, Austria, and Israel. Unlike the coolers loaded with snow, the Warings sell maple leafs collected in Vermont, New Hampshire, and Massachusetts in smaller quantities. A single preserved leaf will cost you $7.99, while a package of 10 runs $59.99. 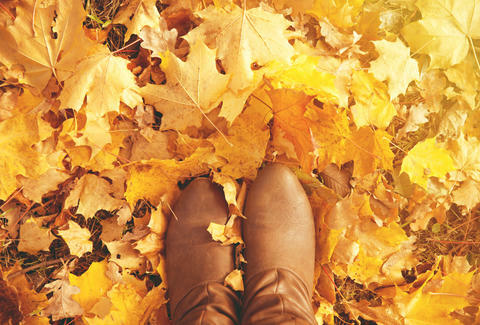 As any kid who has stuffed a leaf in their pocket knows, dead leaves crumble. That's why the Warings use a three-day process to encase each leaf with a resin. If you don't miss the seasons, it's a nice reminder to step back and reacquaint yourself with what's unique and beautiful in your community. Unless you're thinking of how you can pull something like this off. In which case, know that no one wants your grass clippings. You'll have to do better than that.